Fukuoka is a gourmet city and the eating options are endless. Here are some of the best locations and signature dishes to try. 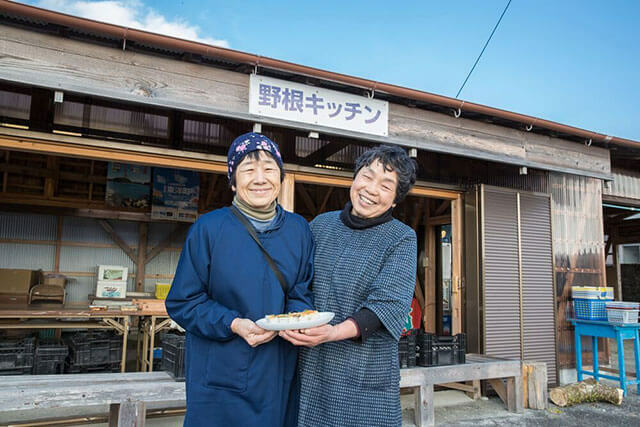 The who’s who of celebrities in Japan have visited this no-frills gyoza shop. This can be seen by the large collection of pictures of the owner with famous friends hanging on the wall. We think you should check it out too, but not for the pictures, for the wonderful grilled gyoza served straight on the iron frying pan. This is a Fukuoka institution and should not be missed. Motsunabe, a local delicacy made with beef or pork offal, could make some travellers wary, yet this is one of the best food options Fukuoka has to offer. At Ichifuji, you will be treated to a flavourful and easy to eat hot pot of miso based motsunabe. 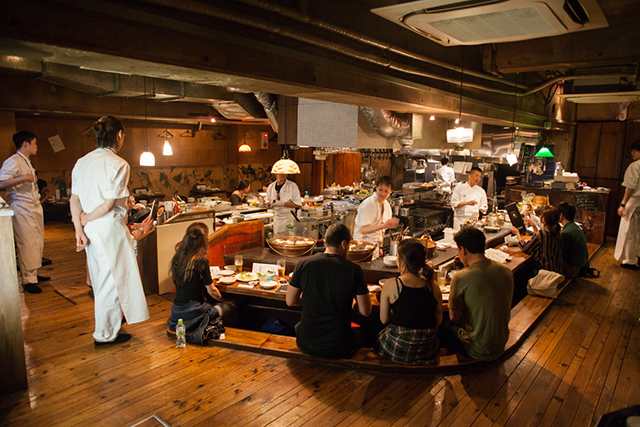 The restaurant is hidden on the 6th floor of the Bulala Building in the city’s Chuo Ward. 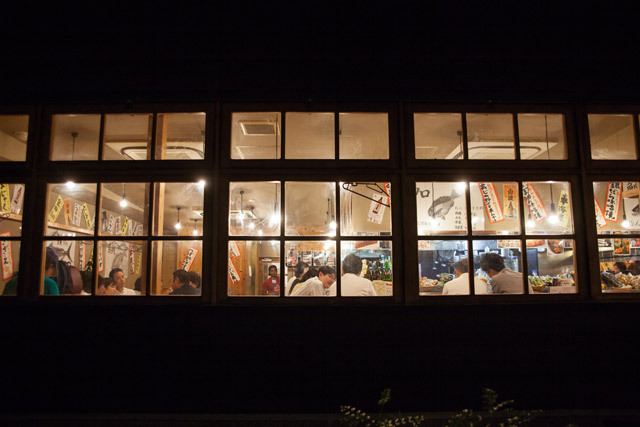 Ichifuji has two dining areas, the first is in the main hall where guests are seated on the floor with other tables visible, and overlooking the neighbourhood through a wide window. The second adjacent dining area is divided in booths giving guests a more private dining experience. Chikae is an institution in terms of seafood. It is located in the Daimyo district, inside a large three-story building resembling an elegant ryokan. 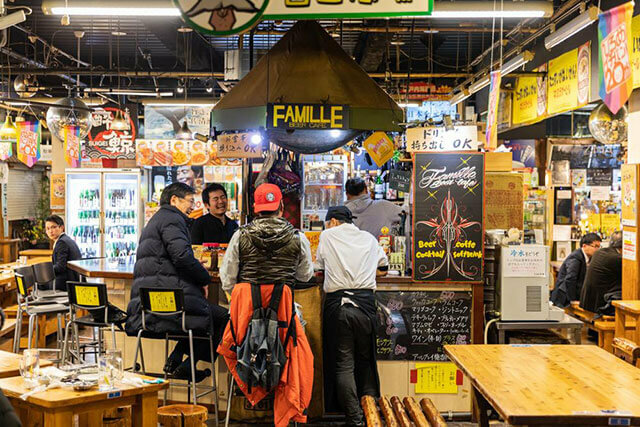 Customers are dazzled first by the large aquariums filled with live squids, lobsters, sardines, and several other species, flanked by pristine tatami-style dining areas. Then comes the food; for lunch (from 11:30pm to 2pm) Chikae offers a japanese set lunch, and for 1,500yen you can try various small dishes, or for a bit more money you can also order a la carte, and make your own set. Either way make sure to try Chikae’s signature Mentaiko. We recommend the mentaiko-filled grilled sardine accompanied by tofu pudding, or the more simple version from the squeezable bottle provided. The inconspicuous shop is located in the shopping concourse below the Comfort Hotel Hataka, a building right across from the Hakata Station’s west exit. The front yellow sign is hard to find but when you do you’ll be in for a treat. The experience here is straightforward, first, order from the vending machine (in Japanese), hand your ticket to one of the friendly staff, wait for your dish to come, and enjoy. Daichi is famous for its goboten udon, and rightly so, their bowl of udon noodles topped with a massive serving of burdock root tempura is cheap, filling and succulent. 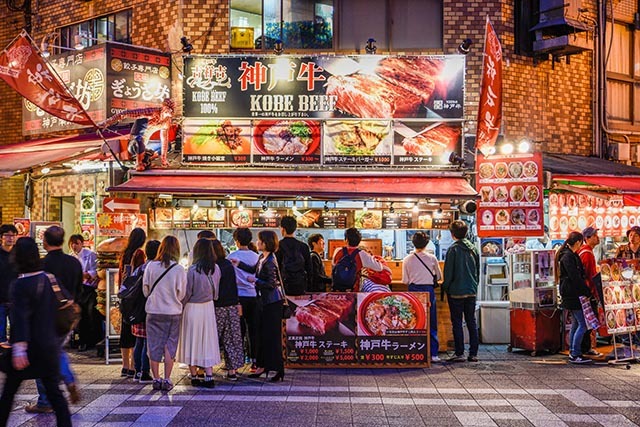 A trip to Fukuoka cannot be complete without eating at the famed Yatai stalls. These portable eateries have become one of city’s main attractions and a part of the Hakata night scene. 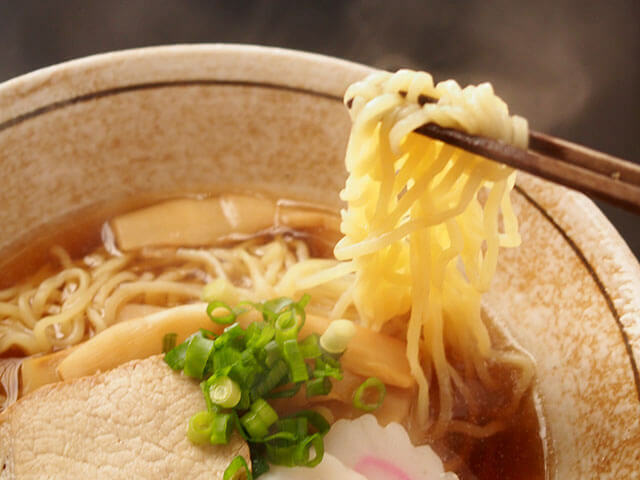 From around 6pm to midnight (times vary per stall) they serve a variety of japanese fast food, including yakitori (grilled chicken skewers) and tonkotsu (pork) ramen. More than the food, the experience here is about interacting both with the stall owner and the locals sharing the limited yet cozy space with you. 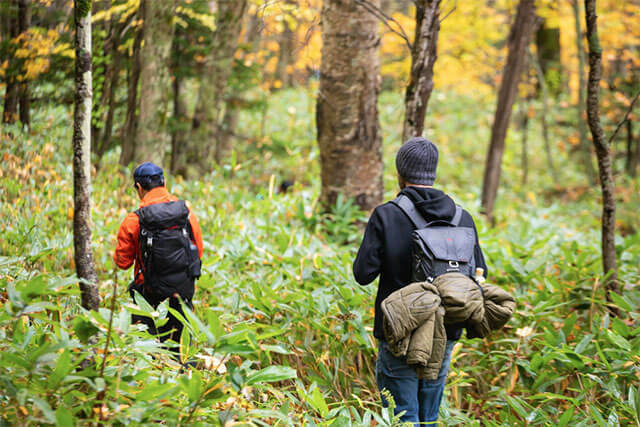 The Yatais can be found around central Fukuoka, but we especially recommend those located along the Naka River in Nakasu Island.